IPL Photofacial (Photorejuvenation) is a breakthrough treatment in age-defying skin care. It’s a treatment that turns damaged, sun-aged skin into radiant, glowing complexion. 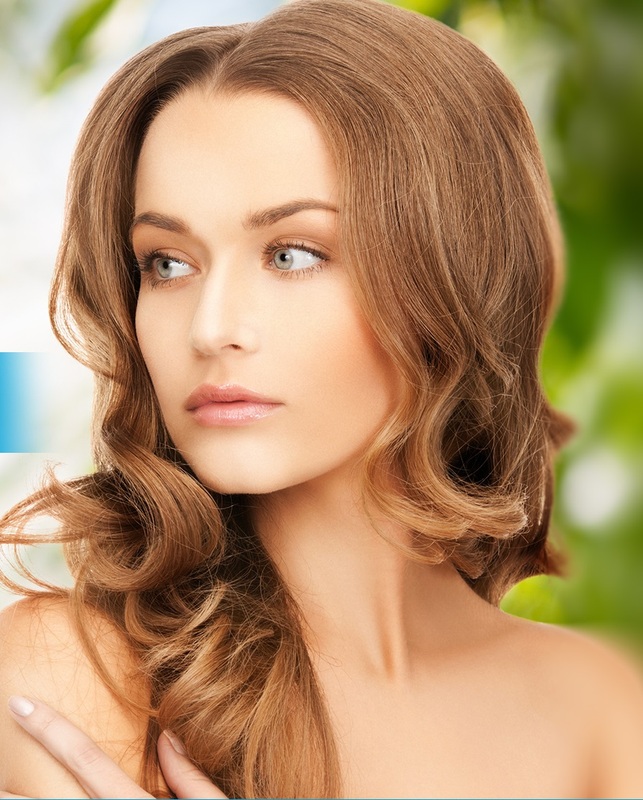 IPL Photofacial (Photorejuvenation) revitalizes the skin with no downtime at all. IPL Photofacial (Photorejuvenation) technology deployed by our Milton spa, is the gold standard in skin rejuvenation. Come and experience the dramatic results IPL provides for a wide range of skin conditions. Why choose IPL Photofacial (Photorejuvenation) over other treatment options? Many skin treatments such as Laser resurfacing and deep chemical treatments often cause redness, swelling and other unwanted side effects. Patients are often forced to withdraw from work and social engagements while waiting for their skin to heal. Microdermabrasion is only useful in ridding the skin of irregularities such as acne marks. It’s not effective against many other complexion related issues such as redness, flushing and broken capillaries, freckles or sun damage etc. While Face lifts and other surgical procedures are far too invasive. Photofacial is the only viable option for those who simply want to revitalize their appearance with no downtime at all. How is IPL Photofacial (photorejuvenation) better than traditional laser treatment? The IPL Photofacial (photorejuvenation) is better than laser because it can be used to treat multiple skin conditions, all with one single treatment. To get the same results with laser, for each skin condition patients have to seek a different type of laser treatment such as laser skin tightening and laser skin resurfacing. IPL photofacial is less expensive than traditional laser. However, the greatest advantage of this treatment is that there is a much smaller risk of burns and scarring when compared to traditional laser treatments. During IPL photofacial (Photorejuvenation) treatment, you will be wearing protective eye-wear to protect your eyes from bright flashes of light. We will apply a cooling gel to the treatment area to help keep the epidermis layer of your skin cool. Brief pulses of bright light will be applied to the treatment area. IPL photofacial (Photorejuvenation) treatment lasts from about 30 minutes to an hour, depending on the size of the area. During IPL photofacial treatment, you will feel a warm sensation caused by the hand piece. The recovery time from IPL Photofacial treatments are usually very short. The light redness or dark spots resulting from a photofacial treatment dissipate within a few hours for majority of patients. For very few patients, however, it may take a couple of days to fade. Those who are treated for severe acne, sometimes experience slightly longer recovery times. However, once the temporary redness wears off, the impressive results are worth the wait. After an IPL Photofacial, you should avoid the sun and wear adequate amount of sun block for the first couple of weeks. IPL Photofacial (photorejuvenation) treatment consists of applying high energy light waves of pre-determined wavelength to the treatment area. The application of these intense waves reduces or eliminates many common effects of aging, including sun damage, facial wrinkles, freckles and various types of discolorations. IPL Photofacial treatment also encourages the production of collagen. This protein is known to give our skin a youthful look by filling in wrinkles. For the most impressive, pronounced and lasting results, a series of 3 to 5 IPL photofacial (Photorejuvenation) sessions is recommended, about three weeks apart. Are IPL Photofacial, fotofacial and photorejuvenation the same thing? Yes. These terms all refer to the same treatment being described on this page. 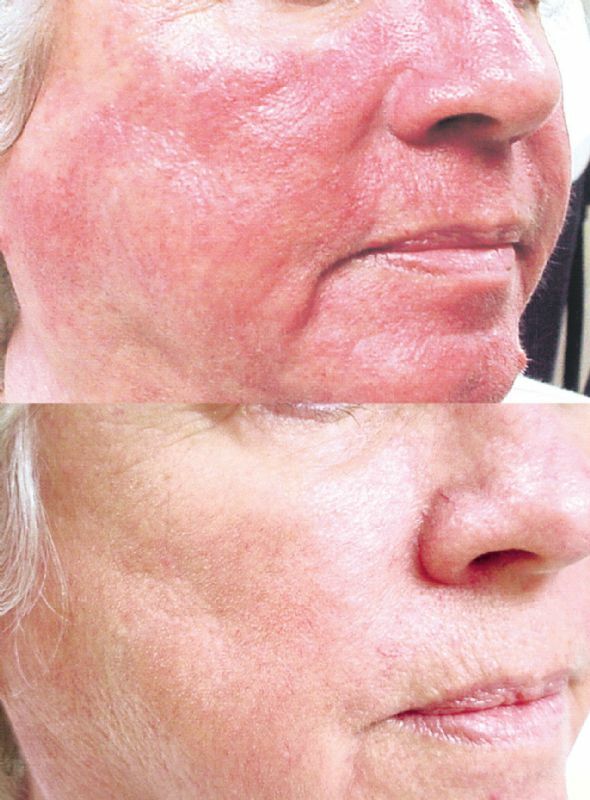 IPL Photofacial (Photorejuvenation) produces impressive results for a variety of skin conditions including Rosacea and unsightly veins. Is IPL Photofacial (photorejuvenation) safe? IPL photorejuvenation is known to be one of the safest light-based skin treatments available. Most patients experience little or no discomfort during the procedure. The most common side effects such as redness, minor swelling, and inflammation dissipate within a few hours for a majority of patients, and within a few days for very few patients. What should I expect from IPL Photofacial (Photorejuvenation)? Right after your treatment, your face may appear slightly red or flushed. This is completely normal. It will take a few hours or a day or so, for results to become apparent. Once the redness fades away, you will start seeing improvements on your skin. Those patients who are treating acne with IPL phofacial may see the redness remain for several days. Once the redness fades, you will see impressive results. Those wishing to stimulate collagen growth will see smoother skin texture within a few days. The minor side effects from a Photofacial treatment will dissipate rapidly. But it is important to protect the skin from sun for at least a couple of weeks. While in the sun wear a strong sunscreen on the face and keep any other treated areas covered. With proper care, the results of your treatment may last up to a year or longer. Depending on the condition being treated and and its severity, a series of 3 to 5 sessions may be recommended. Spring Mist Spa offers Special prices on packages of 3 or more treatments. Who should not get IPL Photofacial treatment? Individuals who have tanned or naturally dark skin sometimes develop changes in skin pigmentation after IPL photofacial treatment. People of African, Italian and Greek descent, should discuss possible side effects with a dermatologist before choosing this procedure. IPL photofacial until at least six months after they stop using this medication. Pregnant women are also advised to postpone treatment until after they give birth.